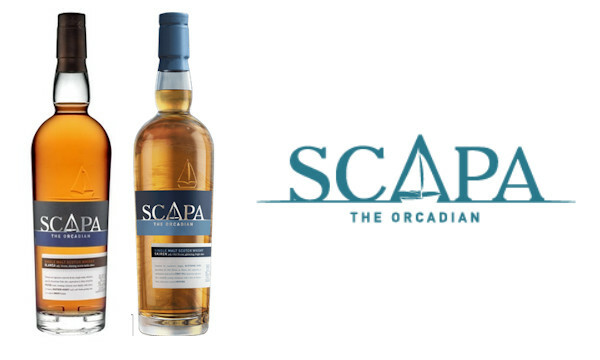 Scapa is a boutique range of artisanal malts influenced by the orcadian elements. The Orkney archipelago is located just off the far north coast of Scotland and within reach of the Arctic Circle. A beautiful, wild and untameable place of unexpected contrasts, the extreme elements of this remote land form has influenced the range of audacious malts, capturing the Island’s adventurous spirit. Where Orcadians are often cut off from the rest of the world forging an incredibly strong community which acts as the foundation for each bottle. Crafted by just a handful of people, Scapa is an exquisite example of dedication, with a passionate team of just five artisans and a Master Distiller working in the boutique distillery, situated on the shores of Scapa Flow. The team of artisans pride themselves on using traditional methods and skills honed over several generations, running the operation from where they call home – in one of the only Scottish distilleries that remains manually operated, with each process overseen by hand, right from milling to distillation. The handcrafted techniques used to create each drop of Scapa is distilled by a single pair of stills, staying true to the small and artisanal Island malt. The unique barrel-shaped Lomond wash-still is the sole survivor of its style used for making whisky - notorious for its influence in making a richer and fruitier new make spirit. The range consists of the treasured Scapa Skiren and the latest expression; Scapa Glansa, both encapsulating the Orcadian’s distinctive character and Islands natural elements. Scapa Glansa is the latest expression and the first peated whisky introduced to the range. The latest release has been crafted by taking the signature smooth fruity malt, which is aged in American Oak casks and then resting it in peated casks to create a richness and depth that give way to a subtle smoky finish. Glansa is a symphony of fruity sweet notes of soft peach, pineapple, and ripe pear flavours, fused with creamy caramel toffee and vanilla intermingled with subtle bonfire smoke - an abundance of flavours that represents the diverse and unexpected contrasts of the Island it is distilled upon. Scapa Glansa is named after the Old Norse word for shining storm-laden skies, awakening the senses with its smooth fruity textures juxtaposed with the richness and depth from the peated casks it is rested in resulting in a single malt like no other. Palate: Peach and ripe flavours, creamy caramel, toffee and vanilla, balanced perfectly with soft smoke. Released in September 2015, the exclusive maturation in First Fill American Oak casks gives Scapa Skiren its smooth creamy sweetness with a hint of tropical, citrus fruit and coastal heather, uncommon for an Island Single Malt but distinctly Scapa at its core. Named from the Old Norse for glittering bright skies, this bold single malt lights up the senses with its delicate scented floral flavours, as well as fresh pear and fruity pineapple notes on the nose. The smooth and sweet rippling taste of honeydew melon compliments the bursts of fruity pear, contrasting with the tantalising taste of sherbet on the palate. The end result is a long, refreshing sweetness, reminiscent of the summer Orcadian skies. Nose: Delicate scented floral flavours with a hint of fresh pear. Sweet and fruity pineapple notes with a citrus tang. Taste: Smooth and sweet, ripe honeydew melon slices, bursts of fruity pear and lemon sherbet. Finish: Long, refreshing, shimmering sweetness.